As you travel about country Victoria, in every small town the best buildings are the Banks, the Churches, and of course the Hotels. The Banks are closing their small branches and leaving town, and the Churches are facing dwindling congregations. But there’s a resurgence among country hotels. 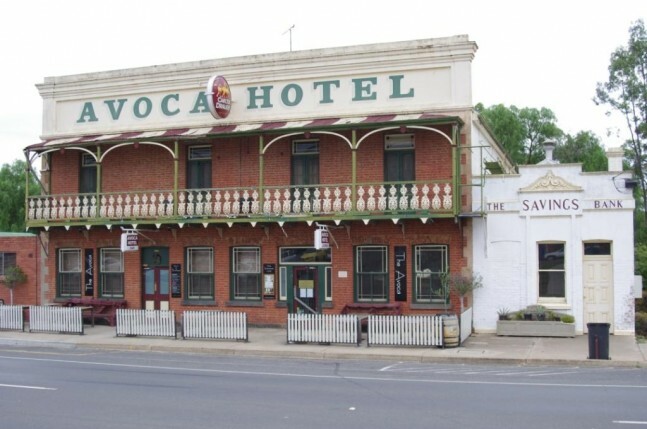 In Avoca, a 45 minute drive northwest of Ballarat, the Avoca Hotel stands on the main street; it’s a magnificent old gold rush building. It was built in 1872, on the site of the original Avoca Hotel which was established in 1853. Apparently the original building was moved on rollers down the street, to become Watford House, a private residence. A gold rush will create a thirst, and apparently Avoca had eleven hotels in the height of the gold rush. Nowadays two hotels there serve the local population and visitors to the Pyrenees wine area. Ian Urquhart and Alison Chapman bought The Avoca in 2010 and over the last three years have refurbished the old building which, it’s fair to say, needed more than a lick of paint. They had owned and operated a very successful café and restaurant in Kensington, “The Blue Door” for seven years and wanted a change, wanted to set up their idea of a country hotel, serving unpretentious food with local produce and local wines. They have worked very hard and the result is faithful to the old building but comfortable and quirky. They’ve brought a little bit of Kensington to Avoca and the old building now has a charm and personality which is warm and welcoming. Accommodation upstairs is the next project. Now it’s up and running and extremely popular, deservedly so, with loyal local diners and a steady stream of visitors to the region, some who’ve followed Ian and Alison from “The Blue Door”. 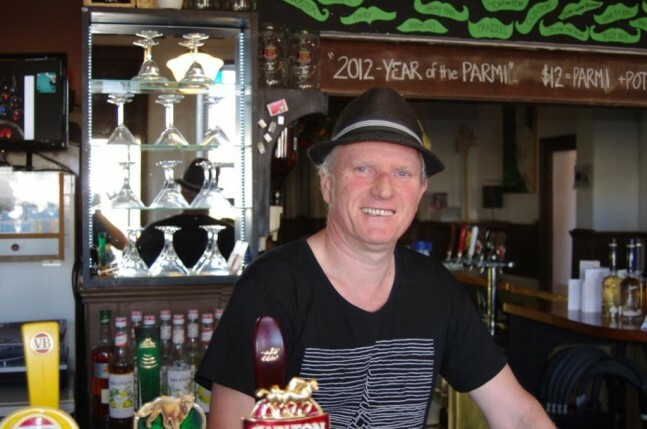 It’s a country pub which serves the usual suspects such as bangers and mash, and chicken parmigiana, but also a fine standard menu and a tempting range of specials, many using local produce including hare and rabbit, eel, goat, herb fed lamb and locally smoked smallgoods. In comfortable surroundings you can choose from dishes prepared from Spatchcock, Duck, Pork and local “Tuki” Lamb, from the current standard menu, or the ever changing weekly “specials menu” which always tempts particularly with Alison’s desserts. The food here is thoughtfully prepared and presented, modern, fresh, and tasty, and extremely good value. There’s a comprehensive range of local wines by the glass or bottle. The current wine list includes M Chapoutier “Domaine Tournon” Chardonnay 2010 ($40/bottle), Domaine Terlato & Chapoutier “Malakoff” Shiraz 2008 ($56/bottle) and Summerfield Shiraz 2010 ($43/bottle), and a reserve list which includes Redbank Sally’s Paddock back to vintage 1999. 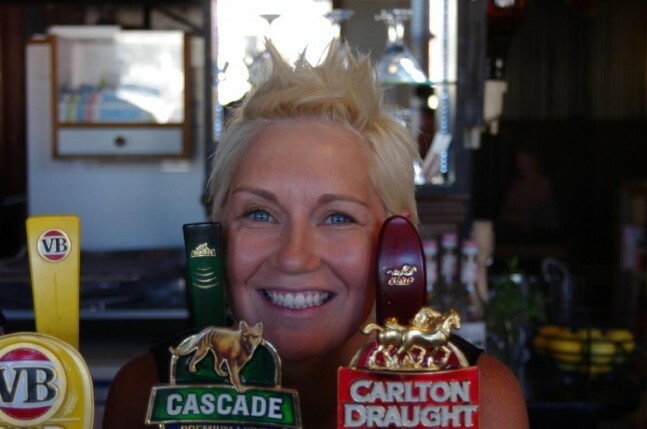 After a day’s work touring the local wineries, you can have Red Duck beer on tap or bottled, Three Troupers beers (these are local) or a wide range of bottled Australian and international beers and ciders. This is a warm and welcoming place serving fine food and wines, unpretentiously, but with knowledgeable and friendly attention from front of house (the bar) to the kitchen and all points between. Open for lunch Wednesday-Sunday, for dinner Tuesday-Sunday. It’s closed Mondays, but the bar is open Tuesday-Sunday, starting at 11am and closing late.